Antibodies in the blood produced as the immune system's response to those or other pathological processes in the body. A doctor can prescribe to hand over a blood on antibodies for various diseases. For example, in the presence of sexually transmitted diseases, thyroid abnormalities, immune system, rhesus-conflict during pregnancy, worm infestations etc. in Order to obtain reliable results of the analysis need 2-3 days to observe a daily routine and nutrition. The blood on antibodies taken from a vein. A prerequisite is the delivery of it early in the morning on an empty stomach. Directly before testing, you can not drink any drinks besides water. 2-3 days before delivery of the analysis should follow a diet. Eliminate from the diet all fatty, fried, spicy, salty, smoked, canned. Not to drink strong tea, coffee, alcoholic drinks, fruit juice, medicine based on alcohol. Time to go to bed, do not smoke. If possible, you should eliminate the use of all drugs, as this may give inaccurate analysis results. If the reception of some medicines to abort is impossible, notify your doctor who ordered the blood test. When you assign the analysis on antibodies to diseases such as syphilis, HIV, hepatitis, rubella, parasitic infestation need three days to adhere to the dairy diet with a small addition of boiled vegetables. If you have recently undergone x-ray examination, physiotherapy treatment, the study of internal organs with the use of chemicals, blood donation for the presence of antibodies is better to wait for 2-3 weeks. Inform about the procedures that you passed before, the doctor. We should not forget that when infected it will take some time to immune system. Only at the end of the incubation period inherent to this disease, it is possible to obtain reliable results. So if the test detected the presence of antibodies, it does not mean that disease is not present, simply has not been enough time for its detection. Do not give up on repeated tests. Analysis of blood on hormones of a thyroid gland in norm and in pathology. Transcript analyses. Antibodies to thyroid peroxidase. Until recently, these antibodies were called antimicrosomal (AMA) as they were associated with the microsomal part of the thyrocytes. Modern research has determined that thyroid peroxidase is the primary antigenic component of microsomes. 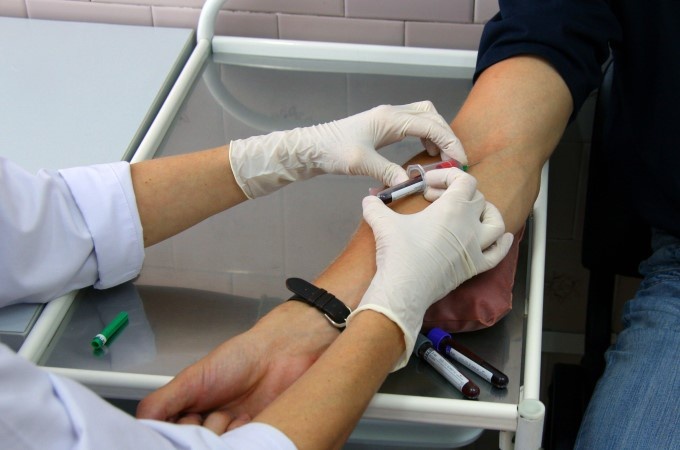 Immunoassay blood test to determine the level of hormones, immunoglobulins (antibodies), immune complexes and other biologically active substances. Mainly for the IFA analysis, the studied biological material is blood, however, the study may be cerebrospinal fluid, the contents of the vitreous humor, amniotic fluid, etc.